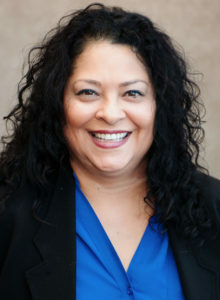 Lisa C. Rodriguez - The Gualco Group, Inc.
As Government Relations Advisor for The Gualco Group, Lisa Rodriguez has served in a variety of staff and lobbyists positions, and she knows California advocacy from the literal ground floor to the Governor’s Office. Lisa is a shoe-leather lobbyist, always in motion for the Firm’s clients. She enjoys being in committee and regulatory hearings and understands the importance of making herself visible in and around the Capitol to make sure she has a voice on behalf of the Firm’s clients. Ms. Rodriguez understood early in her career that strong communication among legislators, staffs and stakeholders are vital in her role. Representation before nationally influential statewide commissions and boards such as the California Air Resources Board (CARB), California Energy Commission (CEC); and, the State Water Resources Control Board (SWRCB). She understands detailed legislative and regulatory processes as only someone who grew up as a professional in the Capitol can. She began her career in politics serving as an intern working directly with consultants on the Assembly Committee on Elections, Reapportionments and Constitutional Amendments. She then served as a Legislative Assistant in the California Legislature where she managed policy and administrative activities. Ms. Rodriguez joined the Firm 16 years ago. “Jackson has an impeccable reputation among the Members, and lobbying community and that’s why I came on board when offered the opportunity,” Ms. Rodriguez says. She’s been a registered lobbyist for almost a decade, with many long-term client relationships. She also plays an integral role in contributing objectives and goals for the firm’s marketing strategy and consulting efforts. Ms. Rodriguez received a Bachelor of Arts degree in Political Science from California State University, Sacramento (while working full-time) and holds a certificate in Business Administration with Marketing from the University of California, Davis.